Glove boxes are used extensively to handle hazardous or sensitive materials, often with a protective or highly controlled atmosphere. Michell’s XGA301 industrial gas analyser provides a reliable and cost-effective method to monitor for air leaks combined with moisture measurement. 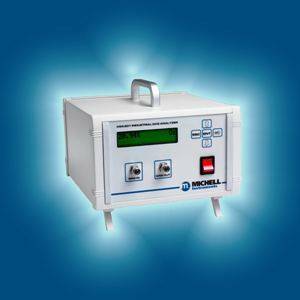 The instrument is one of the most adaptable in Michell’s range, offering a choice of zirconia or electrochemical sensors for measuring oxygen with optional moisture measurements via a built-in Easidew transmitter. Glove boxes often have an inert gas, such as nitrogen or argon introduced as an atmosphere. The XGA301’s electrochemical sensor can be calibrated to detect trace oxygen from 0.1ppm to 10,000ppm alert users early to any leaks of air into the system. Where a dry atmosphere is also needed, the option of moisture measurements using an Easidew enable users to monitor for moisture ingress.